This is not a sponsored post yet a good opportunity for an online side hustle. On my one-hour commute to work in the Philippines, I would either sleep or daydream on how to make money online. Because why not. Then I discovered that I can earn online by blogging. These days, netizens have more choices; did you know than you can get paid to test mobile and web apps wherever you are as long as their is Wifi, laptop, and mobile devices. As a tester myself, I’ll show you why and how mobile app testing can become a side hustle. It’s not as hard as you think it is especially with my tips to help you get around the challenges I had when I was starting. Future testers, let’s get started. Before the crippling doubt hinder you to a promising side hustle journey, hear me out. A tester is a user who test an app or software and report bugs (or simply called error) for a better user experience in each updated version. Do you want to have an online work you can do at home? Do you have devices such as laptop, persona computer, cellphone, or tablet? Do you have time to spare for a side hustle? If you answer YES to all these questions, then there’s no doubt that mobile testing is right up your alley. To get started, I would recommend only one website to sign up to become a tester. It’s up to you to sign up for more in the future. For now, this website is a good starting point. Out of the many websites for testers, I’ve signed up for half a dozens and ranked uTest as my top pick. That was the end of searching for opportunities. I vouched (which I rarely do) on why you should choose uTest. The community and staff is friendly and helpful. You can learn from testers with different level of skills from different parts of the world. You can test popular and new apps before it would be released in the app store. The bottom line is it feels great to contribute and be compensated in making things better while honing your testing skills. Speaking of compensation, let’s find out how much can you earn in mobile testing on uTest. The reasons on why should you join uTest isn’t compelling enough without mentioning the earnings. You won’t get rich especially if you are in a foreign country like Canada but if you are in the Philippines, it could be a significant amount close or even higher to a daily minimum wage. That’s what I thought when I was paid C$3.85 for a single approved bug. As of April 2018, the daily minimum wage rate in NCR is Php 475.00 – Php 512.00 for non-agriculture jobs. Do you see what I’m driving at. If I can earn C$13.00 per day, it would be equivalent to Php 520.00 (C$1.00 = Php 40.00). Not bad for a day working online not spending anything. Online testing is a huge help for Filipinos whether you are a freelancer, stay-at-home mom, or someone who wants to spend more time with your family and still provide food on the table. This is why I am motivated to write this post especially for my kababayan. If you can adapt with technology then opportunities are just around the corner. Payments are generated on the 15th and the last day of every month. Payments are paid through PayPal. Bug bounty ranges from C$3.00 to C$18.00 (or could be more). Bonuses are paid to the tester who submitted the report within the time frame. Reimbursement are paid for expenses such as transportation fare. What if you submitted an approved technical bug (highly sought after) worth C$18.00, could you imagine how much can you earn in a day hunting highly-paid bugs whether you are in Canada or in the Philippines. This is the reason why I sent my in-good-condition iPhone to my sibling and write this post. OK. I’m getting carried away with the compensation. I just let the numbers do the talking. I guess you are sold by now with the idea of becoming a tester, but before you do, don’t skip my tips below. Like any my other online side hustles, I experienced challenges on uTest. While starting out wouldn’t be a walk in the park, you can stop wasting time and fast track the success. Step 1: Sign up on uTest. Complete the account information; having knowledge of different languages can help you get more testing invites. Step 2: Add your hardware and software devices apart from cellphone including Chromecast, Roku, and smart TV to name a few. You’ll be amazed on the variety of gadgets to work on. Step 3: Read the courses especially the popular courses for newbies. This is important for the newbies; do not skip the courses. Start with the basic enough to write an efficient bug report. The three steps can keep you busy for a few days. If you are ready for the actual testing I have more tricks up my sleeves. Testing requires constant reading and paying attention to details. Be prepared. After signing up, you’ll be invited for a sandbox testing so it is important to read the course. Be patient. Although I failed my sandbox testing, I was invited through email to take my first paid test. After doing several tests, I get more invites to test mobile and web apps and websites. There can be a long gap between test invites for newbies but as you progress it easy to be overwhelmed with invitations. Read carefully the instructions. Not all bug reports are approved including duplicate reports (submitted by other testers). And not all parts of the apps are to be tested so read the instructions more than once. Accept test invitations when you have the time. Testing has deadline so make sure to participate when you can. Avoid accepting too many invites that you end up not submitting bug reports to other tests because of spending much time on a couple of tests. It’s all right to decline an invitation. Submit high-paying bugs and -quality report. Duplicate bug report is not allowed so you have to submit a bug report before anyone else especially for technical errors which have high payout than functional and grammatical errors. Earn badges. As you participate more, you’ll earn badges (gold is the highest) which are sometimes a requirement to qualify for a testing job. More badges equals more ways to get paid to test mobile and web apps and websites. Test devices that you have and can borrow. You don’t have to own all the devices that you’ll use in testing. For phones, you’ll get more test invites if you own iOS and android mobile phones. Update your hardware and software profile. For any operating system (OS) update whether on laptop or phones don’t forget to update your uTest profile to have better match of projects. Keep on learning. The courses and articles on uTest are written by testers like you. Some are professional software testers with years of experienced and are willing to share their knowledge. This is one of the reasons why uTest standout among crowdtesting sites. The members look out for each other; the community inspire the members to become a better version of themselves. My last tip for a tester is to find the best testing tool which I’ll discuss in detail next. I’ve tried many tools in the past; some are disappointing and others are worth keeping adn sharing. You don’t have to buy anything to start testing. Most of the tools here are FREE and some have premium version. In most cases, I didn’t find the need to pay for an upgrade. Dropbox – I use Dropbox to easily move files between my devices: cellphone, laptop, and desktop. f.lux – it adjusts the brightness of the device’s screen depending on the time of the day. Your eyes will thank you for this software. 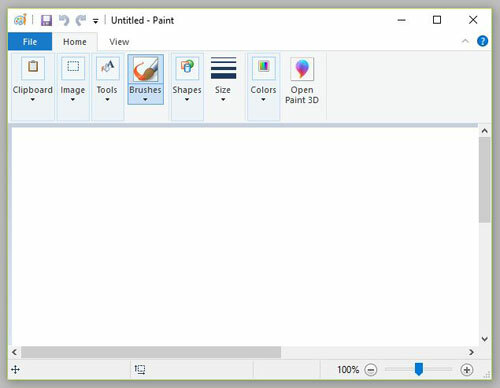 Microsoft Paint – this free photo editing tool is what I use to crop the images I capture using Snipping Tools or Awesome Screenshot Plus. This is also the simplest tool to add text in an image. Snipping Tool – similar to Awesome Screenshot Plus. Photos are saved as HTML, GIF, JPEG, and PNG. Screencast-O-Matic – it records video for a short period. The free version has the company watermark. Awesome Screenshot Plus – it takes a snapshot of the screen; helpful in taking a full-page snapshot. Photos are saved as PNG. Protonmail – I prefer to use free encrypted email when I have to sign up to test an app. Never use your personal email. Tip: Knowing a tool is worth more time than trying different tools that are complicated and expensive. Choose an easy to use tool and know it by heart. For more recommended tools, head on to Software Testing Tool Reviews on uTest; these will guide testers on how to find the right tool for their skills and devices. If you have a favourite tool, share it with us, especially if it’s free in the comment. Testing is a good way to earn extra income. I consider it as a break from writing. But as much as I enjoy to get paid to test mobile apps, I don’t consider on spending much time to hunt and write bug reports. And that’s fine. Each to his own. Right! But if you think testing is something that you want to pursue as a career, even better. 1. Making a leap from a tester to a leader. Each test has a TTL or Test Team Lead who is in charged for the testing. You can ask a TTL about the scope, access to the app, and anything that concerns the test. Did you know that a TTL is once a tester on uTest. To become a lead, you have to pass an exam. 2. Becoming a professional tester. The job titles vary depending on the years of experience. Stepping on the ladder requires constant learning of the latest software. If you are someone who like challenges and changes, then software testing might of interest to you add the fact that experience is compensated with higher salary. But similar to other profession, you must love what you are doing and not just look forward to payday because as a professional software tester you need to learn more tools beyond what I mentioned earlier. When I wasn’t testing, I looked for (mostly) free resources to further understand the field of testing. While learning, don’t forget to keep on practicing and earning on uTest. Another reason why you should become a tester is to contribute in the improvement of apps. How many times did an app crash while you are in the middle of something? 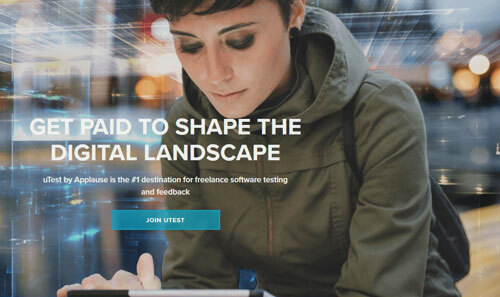 Have you tried other crowdtesting companies similar to uTest?